Goods Service Tax (GST) has changed the way transactions and billings of the major gold and jewellery shops across the country. After a lot of debate on the issue of tax reform in the gold price, finally, a rate of 3 per cent tax was fixed. Though slab is considered to be higher but it is much lower than what was feared initially.. Although, usually wedding shopping starts few months in advance, but this year there was a visible effect of GST and demonetization on wedding shopping. This is the time of the year when jewellery retailing is getting maximum traction owing wedding season. The article attempts to shed a light on the preparations that big jewellery retailers as going through to usher the upcoming wedding season. Weddings are times when families definitely invest in new jewellery for either themselves or for gifting purposes. Moreover, this time Diwali was also weak in terms of sales generation. “We are very positive about the sales for the upcoming wedding season. GST implementation is expected to be positive. Analysts expect GST to improve higher tax compliance, which will result in a level-playing field for the organized market,” said Sunil Nayak, CEO, Reliance Jewels. Going further Bhattacharya informed that the buying for the forthcoming wedding season already took place at the time of the festive season sales just prior to and during Diwali. Some of it will take place in November. 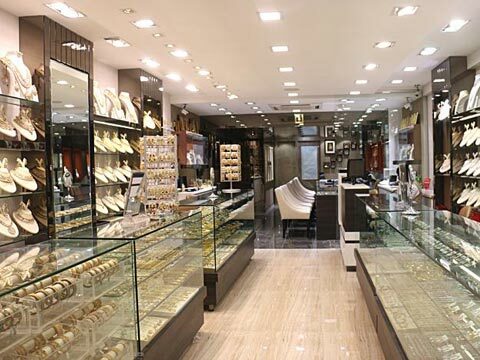 “Therefore, we had adopted a dual pronged strategy for the period, catering to both buyers desiring to make a purchase on an auspicious day (Dhanteras, etc) and also for those who were planning their wedding jewellery purchases well in advance,” Saurav said. All jewellery retailers big or small are offering something unique which is exclusive to wedding shoppers. For instance, Reliance Jewels is offering Upto 100% off on Diamond Jewellery Making & Upto 70% off on Gold Jewellery Making till 30th November 2017. While explaining the offer Nayak aggress that such offers help in booting the sales as well along with the footfall. “Yes, they contribute to some extent to sales but our designs, quality and craftsmanship is what drives the sales for us,” informed Sunil. Speaking on same, Bhattacharya said, “Yes, offers do influence purchase behavior across different consumer segments and well conceptualized and aggressive promotions do help boost sales. It is a win-win situation both for the brand (significant throughput) and the consumer (benefits to each individual).” During this season, Nakshatra World has introduced BOGO – Buy One, Get One free i.e. a piece of diamond jewellery free on every purchase of diamond jewellery was appealing to both types of buyers. Moreover, Nakshatra has introduced unique ‘opportunity mapping and tapping’ strategy. Under this strategy the brand plans a deep penetration backed up with aggressive marketing and promotion which has enabled the company to develop a core ability to drive the diamond jewellery segment by catering to both planned and impulse driven purchases. “We are constantly developing new impulse touch points such as at malls, hotels, cinemas, etc to name a few as well as through online sales,” informed Bhattacharya. Apart from Bridal Jewellery in recent years, purchasing jewellery as gifts either to the couple itself, or by the families to close relatives and has also become important. Hence, the lighter jewellery with lower price points is getting equal popularity. “So now, in addition to larger necklaces, mangalsutras, tanmaniyas, traditional polki jewellery and elaborate rings and earrings, there is also a demand for smaller pendants, rings and earrings too,” said saurav. Wedding related purchases today therefore cover a multitude of price points – starting even at basic levels of Rs 20,000 to 30,000 and going up to large, elaborate necklace sets that can cost more than a few lakhs of rupees. While the lower ranges are primarily for gifting purposes, the higher end constitutes what has traditionally been described as bridal jewellery. “We look at the wedding season in such a way that any person who goes to attend any function can wear affordable diamond jewellery which looks classy & trendy. Customers still use cash when it comes to buying jewellery but nowadays younger population prefers buying jewellery online as they have an option to see wide variety of designs and hence online transactions are increasing,” informs Gandhi. Clearly, Shopping for the wedding season is now a much more complex and mixed category than it was before. While the actual wedding jewellery for the bridal couple and immediate family remains significant, younger couples also want jewellery for other related functions. Hence, the trend generates tremendous demand for all sorts of jewellery. The wedding season has just begun and retailers are expecting huge sales this time of the year.